Tour magical chambers of flowstones and shawls, then relax in a thermal pool. 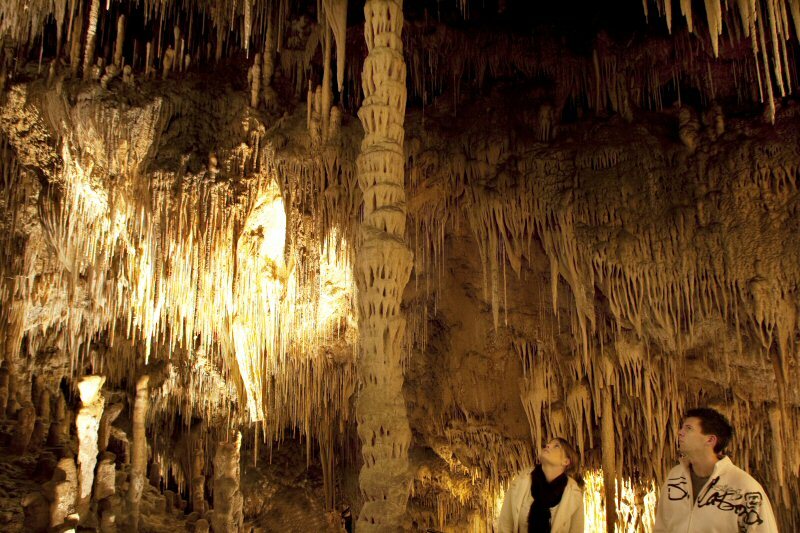 The Tasmania Parks and Wildlife Service conducts 45-minute tours through Newdegate's large, highly decorated cavern. Formations in the cave are spectacular and include flowstone, stalactites, columns, shawls, straws, stalagmites and the unusual helictites - tendrils of calcite that grow in all directions in tiny filaments. 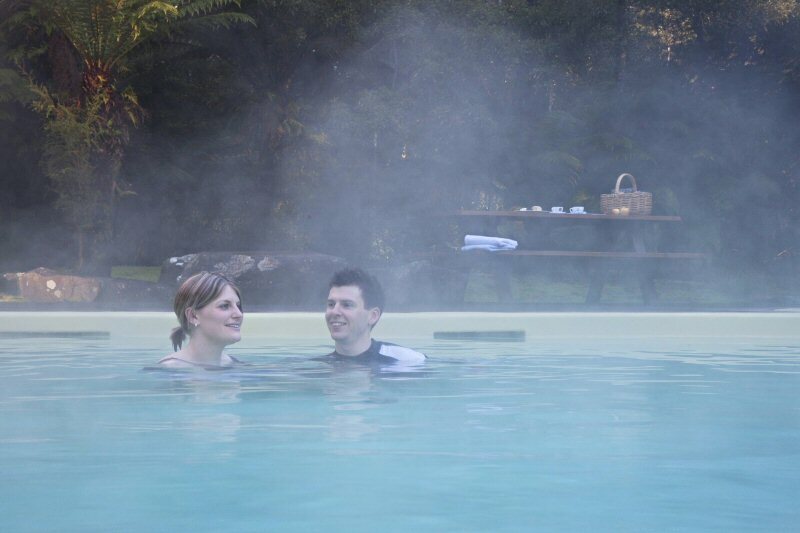 The thermal pool is surrounded by forest and ferns and has a large picnic area equipped with change rooms, showers and toilets, electric barbecues, shelters and forest walks. The pool is fed from a spring that supplies warm water at around 28 degrees Celsius (82.5 degrees Fahrenheit) all year round. It is hygienically controlled and has a paddling pool for children. A walk along the Hot Springs Track will take you to the convergence of two streams. If you put your hand in the water here, you'll be able to feel the warm current from one stream meeting the cold current from the other. 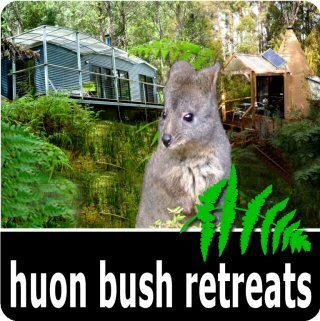 From Lune River station travel through bushland abundant with bird life and wild flowers. 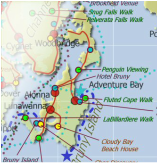 Cross buttongrass plains and travel along the banks of Ida Bay and Lune River Estuary. The scenic water views are superb, and marked bushwalking tracks lead to Southport Lagoon and Southport Bluff. Near Southport Bluff is the King George III monument which commemorates the 134 lives lost in the sinking of the convict ship, King George III in 1835. 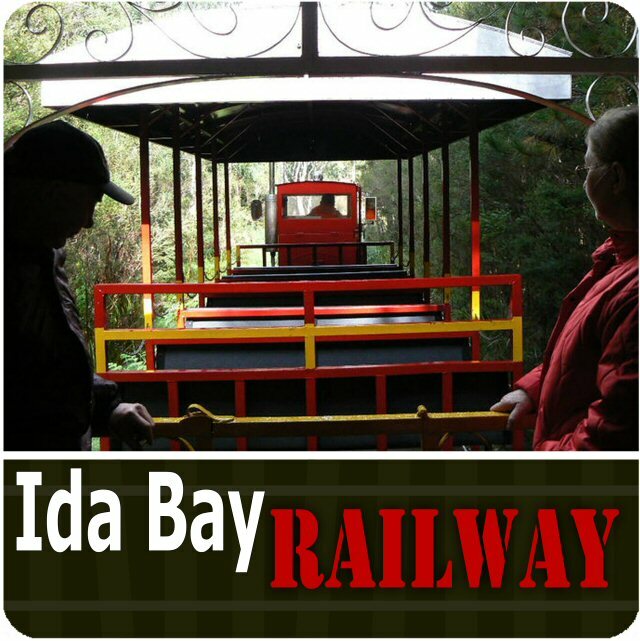 Ida Bay Railway is next door to Buttongrass Retreat. Phone or email us about an accommodation and rail trip package. Cockle Creek is about a two hour drive south from Hobart. 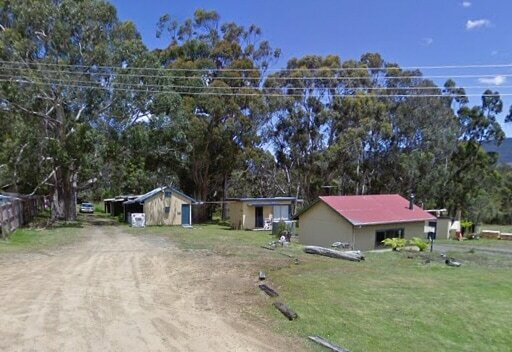 It is reached via the Huon Highway (A6) through Geeveston. Take the C635 past the Hastings Caves turn off then follow the C636 gravel road through Lune River to Cockle Creek. The last stages of the road are gravel but are suitable for two wheel drive vehicle driven at cautious speeds. Stand on the cliffs overlooking the Southern Ocean and be the southernmost people in Australia. 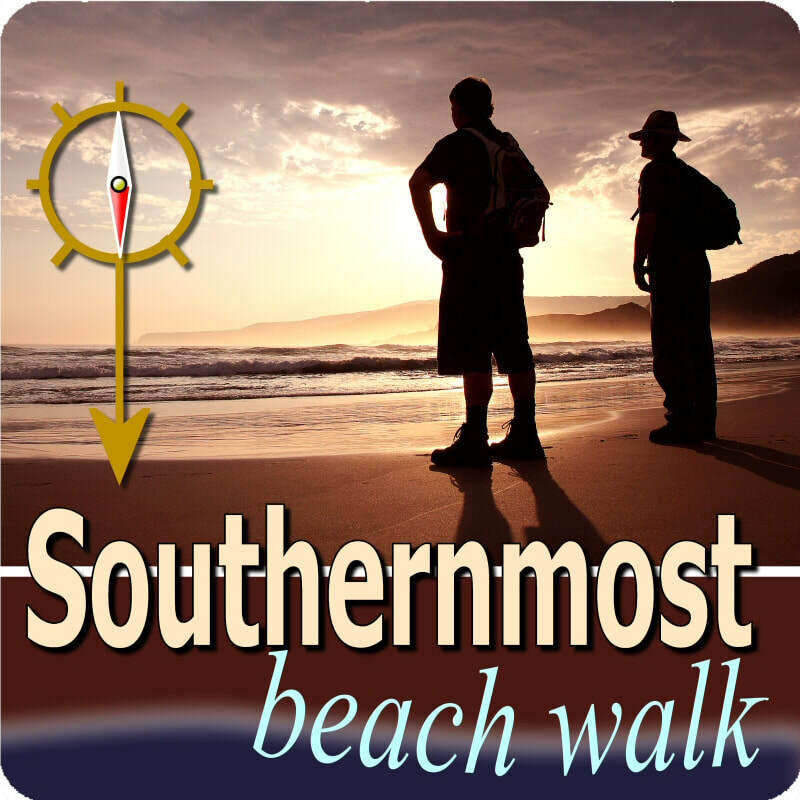 A very easy walk along beaches and short sections of headland takes you to views of Bruny Island and the Southern Ocean. 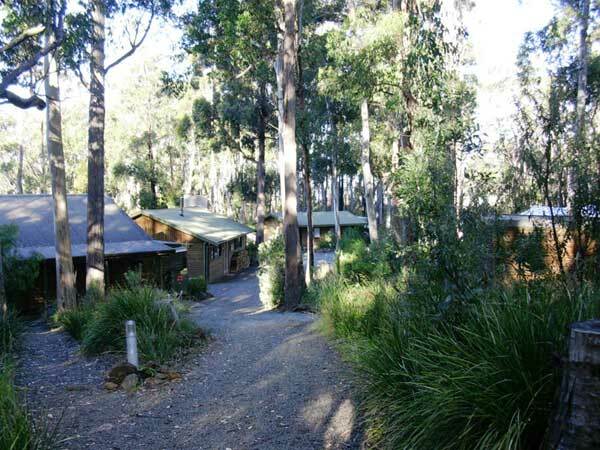 Backpacker rooms with shared facilities or a simple self contained cabin. Explore some of the nearby tracks, ranging from easy to expedition. 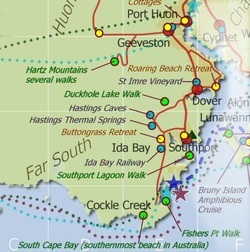 As part of the Ida Bay Railway complex, this budget accommodation is convenient to the walking tracks of Southport Lagoon, Mystery Creek Cave, Southern Ranges and Cockle Creek. 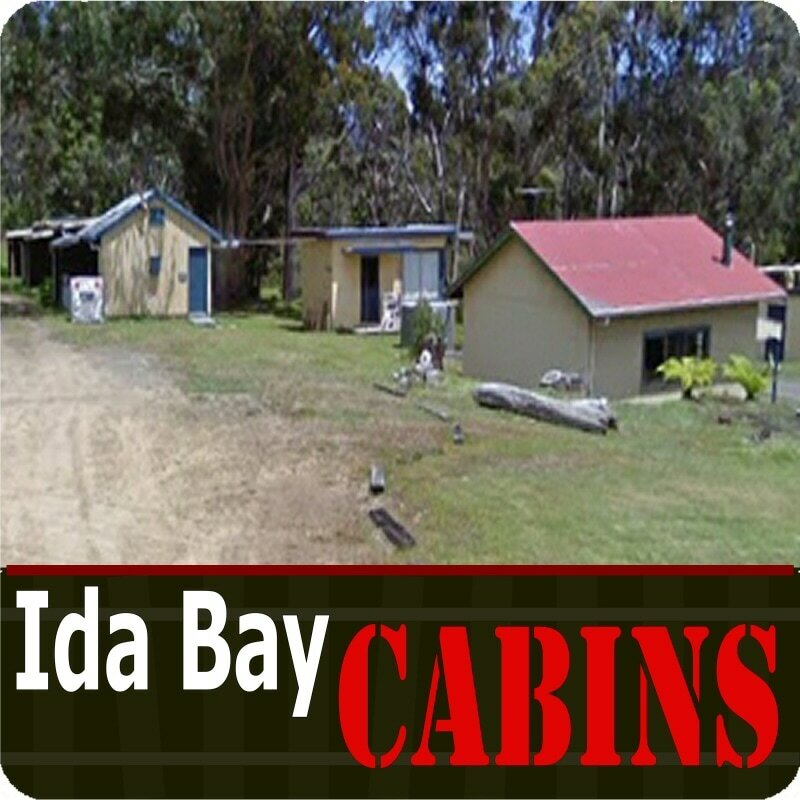 Backpacker and Cabin Accommodation at Ida Bay, near Dover. Shared toilet, showers, kitchen and community room. depending on season, day of week and length of stay. 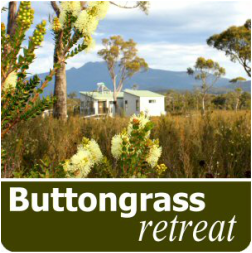 In the Far South of Tasmania, the forest parts to reveal a spectacular open buttongrass plain. This special habitat is home to a unique range of flowers, birds and animals, a community found nowhere else. The view to the Southern Ranges is spectacular and sometime snow capped. Exclusive occupancy with just one guest accommodation. The 400 metre long driveway takes you to the tranquility of this 14Ha private habitat reserve. Your modern two bedroom cabin is a comfortable eco experience with solar electricity and hot water, wood heating and is free of distractions like TV and in-room phones. The perfect place to base for exploring the natural beauty of Tasmania's Far South. Bushwalker collection from Cockle Creek, Farmhouse Creek, Southern Ranges, South Coast Track. Twin engined comfort, Huon valley Escapes presents three air adventures from Hobart. 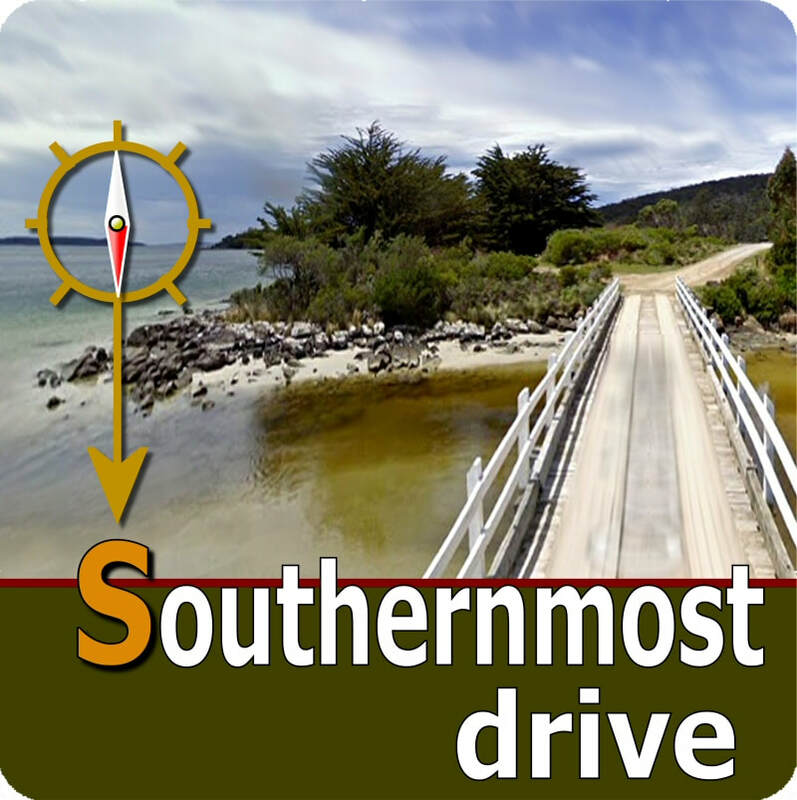 Located at Melaleuca, on Port Davey in the far south west, this fascinating interpretive walk can be accessed by air or by the 7 day South Coast Walk. Conditions apply to the use of Fossicking Areas. Fossickers should avoid causing undue damage to the land, and should take only a 'fair share' of material. Don't be greedy! Fossicking areas are set aside for the use of amateur fossickers and cannot sustain any degree of commercial collecting. The magnificent Southwest National Park encompasses over six hundred thousand hectares of wild, inspiring country and forms part of the Tasmanian Wilderness World Heritage Area. It epitomises the grandeur and spirit of wilderness in its truest sense. Much of the park is remote and far removed from the hustle and bustle of the modern world. For many, just the fact that such a place still exists brings solace. For others, the region offers the challenge to explore areas that retain the same wildness that once characterised new frontiers. For yet others, the area offers the chance to view magnificent scenery from the comfort of their car. The park is accessible from Cockle Creek - the most southerly point able to be reached by road in Australia. If driving between dusk and dawn, please be aware that you are sharing the road with wildlife. 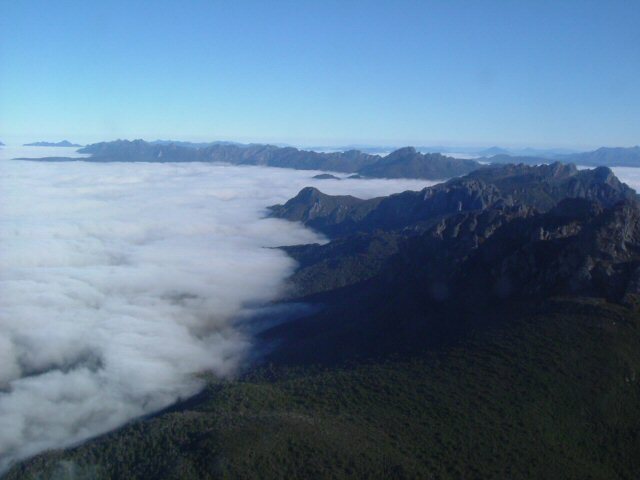 In the far southwest, lies the spectacular Port Davey and Bathurst Harbour. Melaleuca is accessible only by light plane, or boat. The airstrip is close to walkers huts, and is the usual starting point for walkers on the South Coast Track. 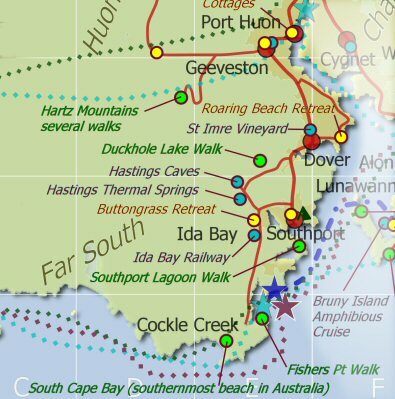 From Cockle Creek, the magnificent south coast is able to be reached along a walking track. 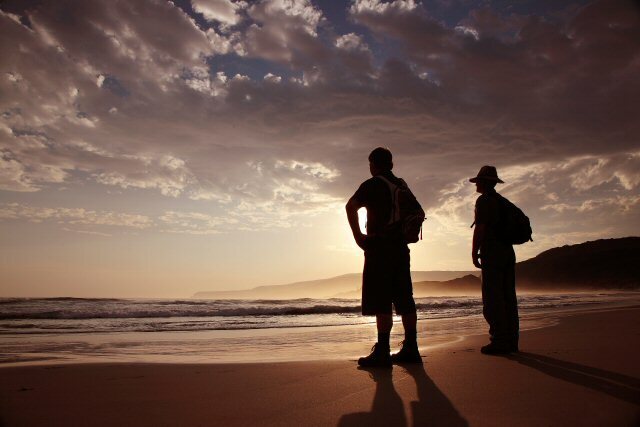 From the coast, the South Coast Track continues 85km to Melaleuca, along some of the wildest coastline in Australia. There are no roads to Melaleuca, so walkers must either fly, sail or walk in and out. Most people take about 6 to 8 days to complete the South Coast Track, depending upon time spent enjoying the beaches. Walkers should note that the track surface may be rough and muddy over extended sections. Cockle Creek is about 2 hours drive south from Hobart. 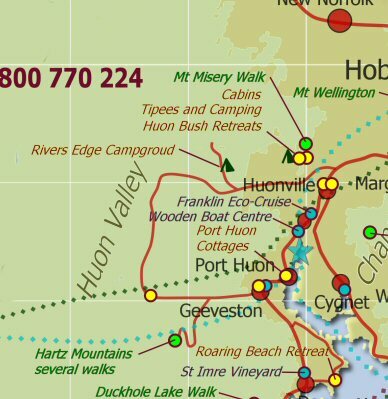 It is reached via the Huon Highway (A6) through Geeveston, then through Lune River to Cockle Creek. On 26 December 2004 an earthquake occurred off the west coast of Sumatra, generating a tsunami that killed more than any other tsunami in recorded history. the water movement. It started immediately before the water flow started and stopped when the water stopped flowing. Strong water flows were observed in and out of the lagoon, approximately 40 minutes flowing in then 40 minutes flowing out with short time lapses in between. These strong currents washed away the bridge approaches, leaving the securely built bridge standing as an island. Some campers were trapped south of the bridge until repairs could be completed 2 days later. To read the full report, "Historical accounts of tsunamis in Tasmania by M. K. Morris & C. Mazengarb" click "Read More"
Hastings Visitor Centre: Facilities include a visitor centre, kiosk and souvenir shop. The kiosk provides pies, toasted sandwiches and biscuits, confectionery, drinks and ice creams. The pool area has a picnic shelter with tables, open fires electric barbecues, toilets and change rooms. Tickets for cave tours and the thermal pool can be purchased here. Evening meals are generally available at one of the following establishments, depending on season and day of week. The Southport Hotel is a family friendly hotel with country style meals available for lunch and dinner every day of the week. The adjacent general store is open 7 days a week and is Australia's most southern petrol outlet. The store is an ideal place to stock up and refuel before you head off to explore what the Far South has to offer. The store also has a range of convenience foods, selected groceries, postal agency, takeaway food and bottle shop. 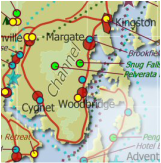 Mobile phone users: Click here for our mobi sub site. 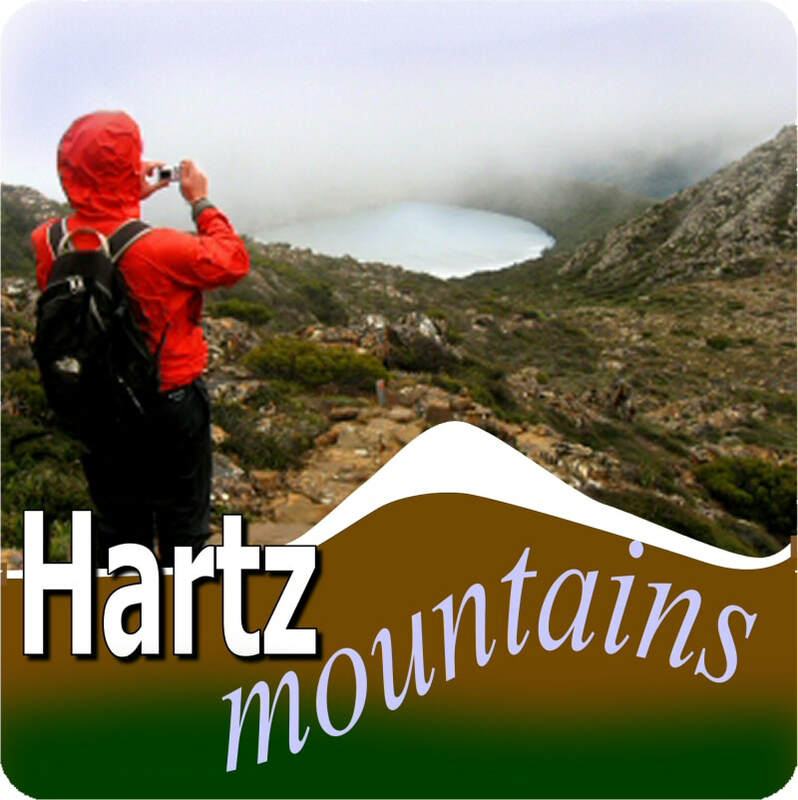 Hartz Mountains National Park is a window into the south-west wilderness, offering views of remote mountain ranges as far as the southern coast. Waterfalls tumble off the dolerite range that runs through the centre of the park and small glacial lakes dot the plateau. Waratah Lookout (the shortest walk at 5 minute return) is a great introduction to this park, giving you a look out over the forests you have just driven through. A very easy gravel track leads to a viewing platform overlooking the Huon Valley. Old myrtle forest grows immediately below the lookout. In December and January you will be treated to a blaze of red from the Tasmanian waratah in flower. 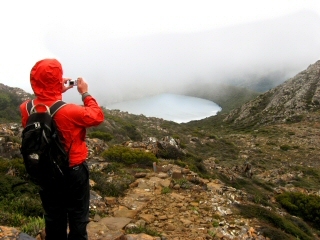 The highest point, Hartz Peak (the longest walk at 5 hours return), provides panoramic views into the heart of the southwest. The jagged outline of Federation Peak can be seen on the horizon. This is a walk only for fit, experienced walkers. As one of Geeveston's grand landmarks since 1870. The property has now been transformed into Geeveston's finest bed and breakfast accommodation. Enjoy Southern Tasmanian hospitality and use Cambridge House as a base to explore the wonders of Tasmania's Huon Valley and Tasmania's far southern region.Cambridge House sleeps up to 13 people in 5 bedrooms. Each room offers slightly different bedding configurations and different amenities to cater for different budgets and requirements. See our accommodation page for further details. There are no shared areas with your hosts and we give you front door keys so you are free to come and go as you please. 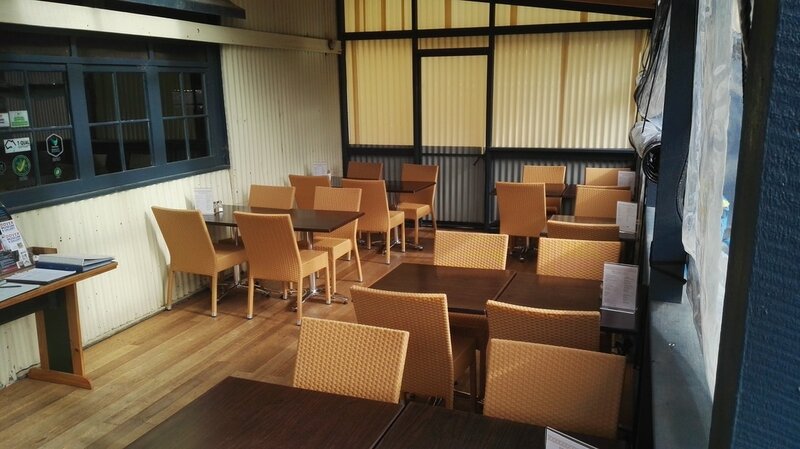 You might like to relax in the large guests lounge, on the verandahs or in the garden. Evening meals are also available by prior arrangement. Cambridge House is AAA rated 4 star. Various bedding configurations with ensuite or shared facilities and guest lounge. Single night: $115 to $150 including two adults. Discounts available for multi night stays and off season. Click Book Online to choose a date and see the discounts available for that period. Grab a book and relax in front of our log fire. Put on your walking boots and explore the beautiful private forest reserve. Swim from the pontoon, or hire a fishing rod. Explore some of the nearby tracks, ranging from easy to expert, by mountain bike. Or visit some of the many natural attractions surrounding us here in Tasmania's Far South. 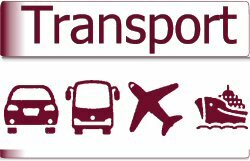 Have your tourism product listed and bookable here. A wide range of activities and accommodation. 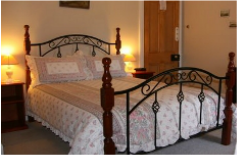 Over 450 beds throughout Hobart, Huon Valley, Far South & Bruny Island. Book just one night or let us design an entire itinerary.